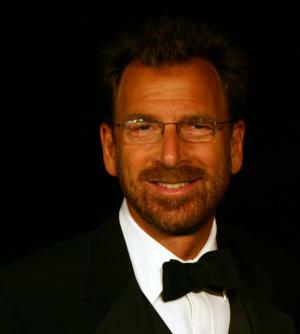 Edgar Miles Bronfman Jr. was born on 16 May 1955, in New York City, USA, to Ann and Edgar Miles Bronfman Sr., of Canadian-Jewish descent. He is a businessman, songwriter and former filmmaker, best known for leading the once largest international beverage and entertainment company in the world, Seagram. A noted media mogul, how wealthy is Edgar Bronfman now? According to sources, Bronfman has acquired a fortune of over $2.5 billion, as of early 2017. His wealth has largely been collected though his involvement in Seagram, and through other business ventures. Bronfman grew up in New York City with his four siblings in the prosperous Bronfman family. He attended Manhattan’s prestigious The Collegiate School, and later enrolled at the Harvard University, but soon dropped out of college to focus on his career in showbiz, having become involved in the film industry during his high-school days. Using the help of his father, he produced his first film, the 1973 British war drama entitled “The Blockhouse” when he was only 17 years old. In 1982 he produced his second feature, “The Border”, starring Jack Nicholson and Harvey Keitel. In the meantime, Bronfman also pursued a songwriting career. He is credited for writing songs such as “Whisper in the Dark” by Dionne Warwick, “To Love You More” by Celine Dion and “If I Didn’t Love You” by Barbra Streisand. All added to his wealth. However, in 1982 Bronfman quit his involvement in the entertainment industry and joined he family’s business, a major liquor and spirits distillery called Seagram. After serving as assistant to the Office of the President, he became Managing Director of Seagram Europe located in London, a position he held until 1984. He was then promoted to President of the House of Seagram, the company’s US marketing division called Joseph E. Seagram & Sons, Inc. based in New York. His wealth grew considerably. A decade later, Bronfman became the CEO of Seagram, and by the end of the ’90s, the company had made acquisitions of entertainment giants such as MCA, whose assets included Universal Pictures. Few years later it bought PolyGram and Deutsche Grammophon, moving away somewhat from the traditional liquor business, and entering the world of music and entertainment, so Bronfman’s involvement in showbizz was born again. The success of the company significantly contributed to his personal fortune. However, in 2000 he sold a controlling interest in Seagram’s entertainment division to Vivendi for $34 billion, and went on to become the vice-chairman of Vivendi Universal. Seagram’s beverage division was later sold to Pernod Ricard and Diageo, which marked the end of the Bronfman family’s involvement in the company. In 2002 Bronfman became a Managing Director of a private investment company called Accretive LLC, focused on creating and investing in technology companies, a position he has held ever since, earning a sizable income and net worth. In 2004, he led the company to purchase Warner Music Group company, becoming its Chairman and CEO, with his net worth boosted again. Under his management, WMG established a leading position in the music industry, becoming the third-largest music company in the world, however, WMG was sold for $3.3 billion in 2011, but Bronfman regained his CEO position with Warner, later serving as the company’s Chairman until 2012. Bronfman has also served on the board of Accretive Health, New York University’s Elaine A. and Kenneth G. Langone Medical Center, and The Collegiate School. He is also the Chairman of the Board of Director of Endeavor, a non-profit organization supporting a new approach to international development. His involvement in such major companies has enabled Bronfman to achieve great popularity and to establish a considerable fortune. When it comes to his personal life, Bronfman has been married twice, firstly to actress Sherry Brewer from 1979 to 1991, with whom he has three children. As of 1994, he has been married to Clarissa Alcock, and they have four children. Full Name Edgar Bronfman Sr.
3 Grandson of Samuel Bronfman. 4 Is the cousin of Canadian film entrepreneur Paul Bronfman. 5 Attended Harvard University, but left to pursue entertainment-related ventures. 8 Father Edgar M. Bronfman revealed United Nations Secretary General Kurt Waldheim's Nazi past, which led to Waldheim's resignation. 9 Met 1st wife, Sherri Brewer, through singer Dionne Warwick. When Edgar Sr. warned him that his and Sherri's children "would have problems being accepted by either black or white society" (Sherri is black), the two Edgars did not speak for a year and did not reconcile until 1982, when Senior shocked Junior by asking him to join Seagram. 10 Wrote a hit song for Céline Dion: "To Love You More". The Blockhouse 1973 producer - as Edgar M. Bronfman Jr.